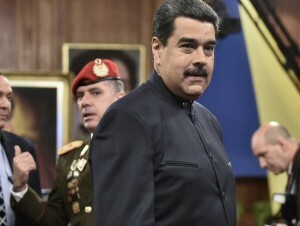 OTTAWA - In support of the people of Venezuela, Canada has announced sanctions on key figures in the Maduro regime to send a clear message that their anti-democratic behaviour has consequences. Chrystia Freeland, minister of foreign affairs, on Friday announced sanctions against the people responsible for the deterioration of democracy in Venezuela. The measures are consistent with Canadian principles and values and aim to maintain pressure on the government of Venezuela to restore constitutional order and respect the democratic rights of its people. “Canada will not stand by silently as the government of Venezuela robs its people of their fundamental democratic rights. Today’s announcement of sanctions against the Maduro regime underscores our commitment to defending democracy and human rights around the world. Canada stands in solidarity with the people of Venezuela as they struggle to restore democracy in their country,” Freeland said.